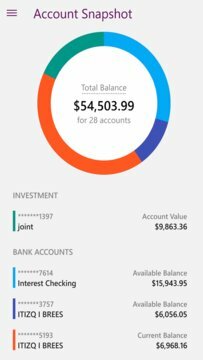 Published by Ally Financial Inc. 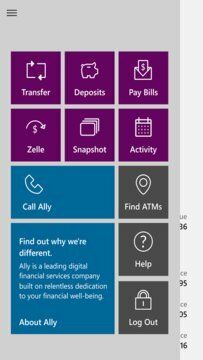 Ally Mobile puts everyday banking tasks at your fingertips. It’s fast, secure, and free. All you need is your online banking username and password. You can also access your account quickly using your fingerprint or unique passcode. Ally Mobile is free – your mobile carrier’s message and data rates may apply. Compatible with Windows Phone 8 & Windows 10. • Use Zelle® to pay almost anyone with a bank account in the U.S.